Planning a wedding can sometimes be fun, frustrating and stressful all at the same time. 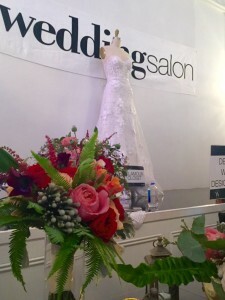 Don’t fear the Wedding Salon is here! The Wedding Salon is the nation’s #1 premier luxury bridal showcase which guides newly engaged couples in discovering the latest trends and resources for their fairytale wedding. They make the wedding process an enjoyable one for the bride and groom! On July 27, 2015, the Wedding Salon hosted their New York’s Destination Weddings and Honeymoon Event at Manhattan’s Affinia Hotel. Brides and grooms came out to enjoy an evening of cake tasting, cocktails, met wedding dress companies, traveling makeup artists, premier photographers, music entertainment groups and companies that manage luxurious international destination weddings. It was a bride and groom’s wedding wonderland!